When my daughters were younger, I had some uncomfortable conversations with them, trying to explain why one of their favorite players was traded by one of their favorite teams. It's the kind of transaction we adults come to expect, accept, even tolerate. But for kids, those "future fans" who are actually a team's lifeblood for longterm success? It can be a hard conversation. Now, find a Memphis Grizzlies fan younger than 15. 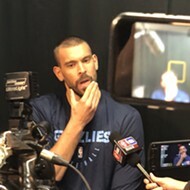 And I challenge you to explain last week's trade-deadline deals, most significantly the one that sent franchise icon Marc Gasol to the Toronto Raptors. "Is Jonas Valanciunas better than Marc Gasol?" No. 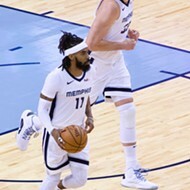 "Do the Grizzlies have a better fit at center, long-term?" No. "Did Gasol not like playing in Memphis?" No. Trades have become budget deals and little more. They've become stock plays for future returns, rarely immediate. 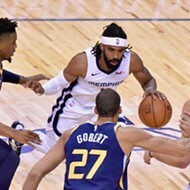 (The last significant midseason trade that helped a team win a championship at season's end? Houston's acquisition of Clyde Drexler on Valentine's Day in 1995.) They are an accountant's fantasy league, the addition of not-yet-spent dollars here, the subtraction of contracted dollars there. I don't mean to pick on Bobby Parks, ESPN's "front office insider," but this was an actual tweet he posted shortly after one of the Grizzlies' other trades last week: "Avery Bradley has a $12M cap hit this season and $12.96M for 2019-20. Bradley has $2M guaranteed for next season. Memphis has until July 3 to guarantee his full salary. The Grizzlies will create a $7.6M trade exception." Explain that to your 12-year-old Grizzlies fan, the one wiping tears away after the Gasol trade, hoping that Avery Bradley is somehow a step in the right direction toward more happy nights at FedExForum. "What's a $7.6M trade exception?" Gasol and the Grizzlies needed to part ways, I suppose. 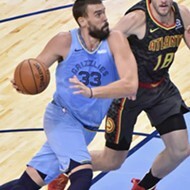 Big Spain is 34 years old and would love to be part of a championship team, something the Grizzlies won't be able to provide in the next three or four years. And maybe that's your explanation for a young fan: Even our sports heroes are mortal. Father Time remains undefeated. If you love someone, let him go. Something like that. I'm choosing to leave the bean-counting forecasts to Parks and his ilk. Maybe the numbers — some added, some subtracted — will one day yield a sharpshooting wing who can complement the rising star Memphis has in Jaren Jackson Jr. Maybe the empty pieces acquired last week — What is a Tyler Dorsey? — will be flipped into meaningful salaries for legitimate rotation players, the kind of players who sell jerseys in the FedExForum team store. You know, like Marc Gasol. But for now, any attempt at interpreting what shook down last week between the Grizzlies and their trade partners is a fool's errand. If you can't explain it to a pack of middle-school Griz fans, perhaps it needs no explaining. • With seven more points, senior guard Jeremiah Martin will pass Penny Hardaway for 17th on the Memphis Tigers' career scoring chart. (Let's remember the current Tiger coach only played two seasons.) Perhaps more significantly, with 15 more assists, Martin will become only the fifth Tiger to rank in the program's top-20 for scoring and top-10 for assists. He'll join Alvin Wright, Andre Turner, Elliot Perry, and Joe Jackson.